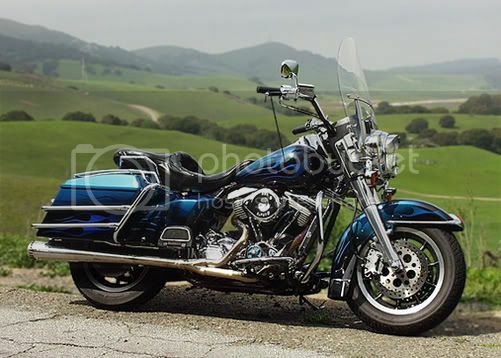 This thread is about motorcycles! Discussion in 'Off Topic Forum' started by stiggy, Nov 24, 2009. Anyone here ride? 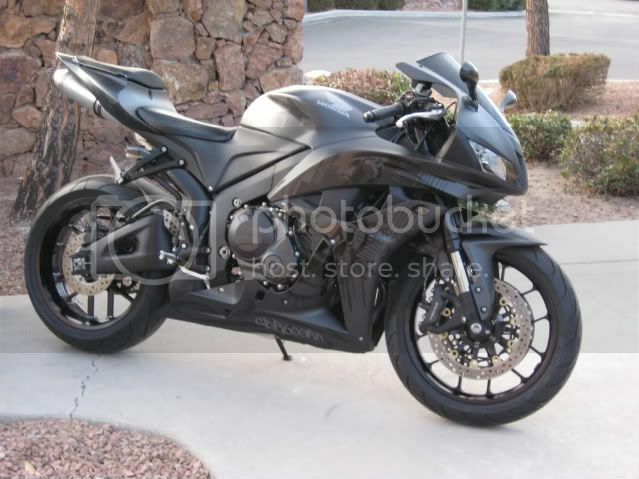 Currently I ride a 2006 Honda VFR800. It's a sporty, sport-touring bike. The first weekend in August last summer my buddy and I joined in the New England Rally. We rode 1200 miles in 34 hours without sleep (Red Bull, seriously), and finished off with a total of 1400 miles once I got back home. I just put her away for the winter a few weeks ago. I tallied 11,856 miles for the summer. I love that bike. This is my 3rd season riding. I learned on a Harley sportster, then I got the Honda last January. 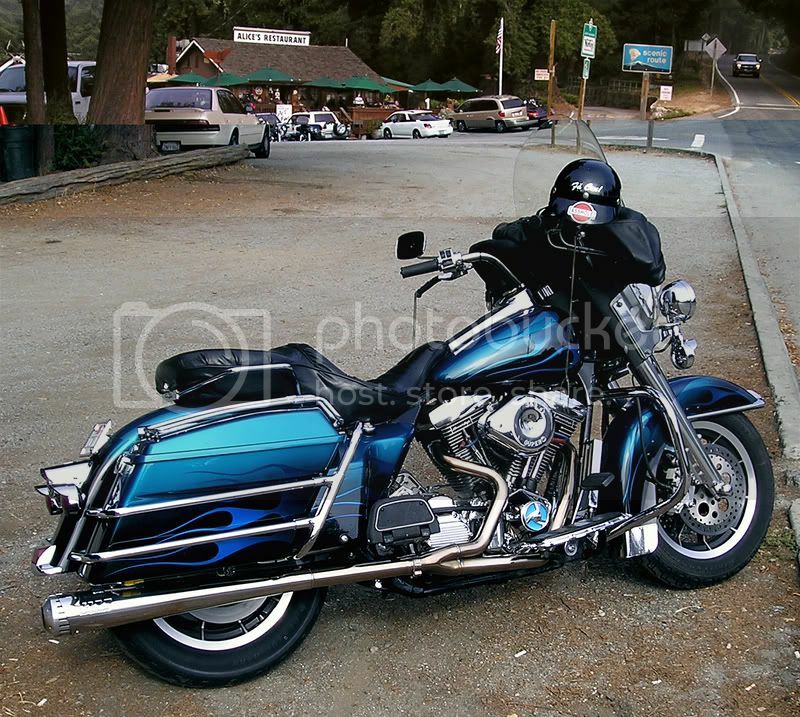 Pic taken with my Droid on the last ride of 2009. 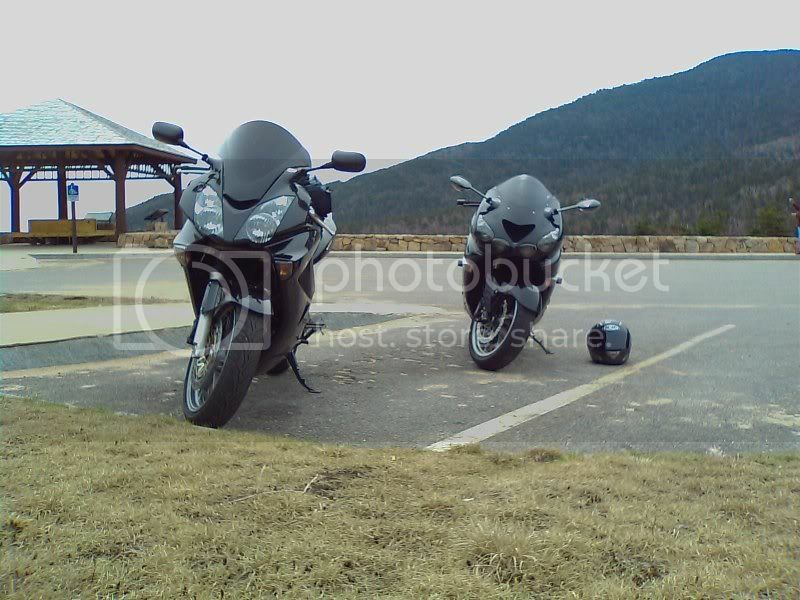 My VFR in the front, and my riding partner's ZX-14 (incredible bike) in the rear. And a pic from one of our many trips to the white mountains, our playground . 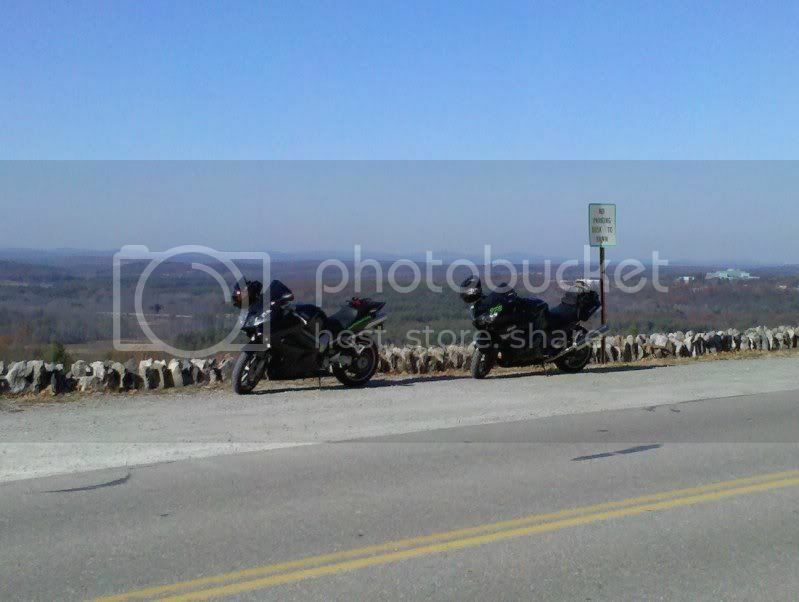 VFR on the left, Riding partner's ZX-14 on the right. So whatchya got? How long you been riding? Do anything interesting on it? Gimme pics!!!! No sport bike, But I ride a Bobber! I have a 2005 Kawasaki 636 which was doing dual duty--track and street, but will now be track only next season.... and a 2007 ZX10R. You have a speck of dust on that rear tire. It needs to be cleaned up before posting again. Seriously, nice bike. 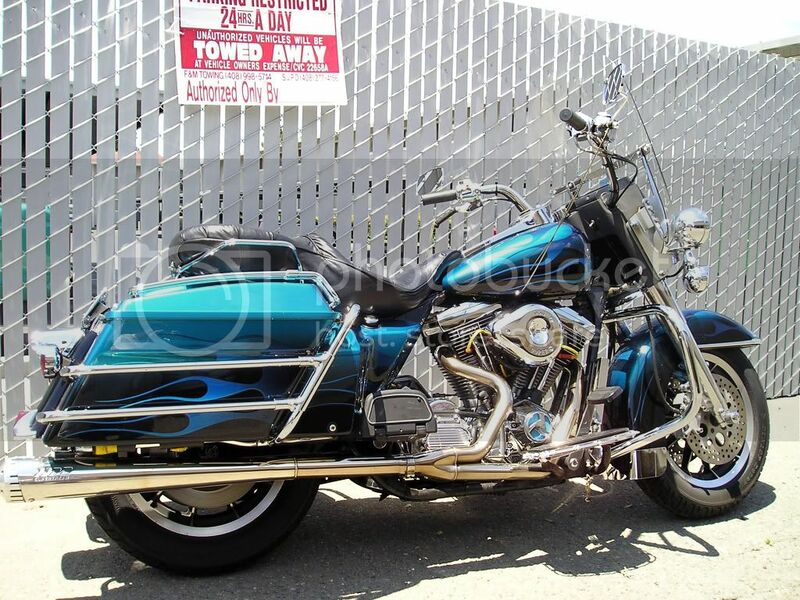 I have a 2007 BMW K1200S and a 2004 Harley Road King.